Nowadays, transportation is responsible for about one quarter of greenhouse gas emissions, the occupancy rate of cars in developed countries hardly reaches 1.5 passengers, traffic jams are no longer restricted to rush-hours, an environmentally conscious and economical, individual transport is becoming increasingly important. 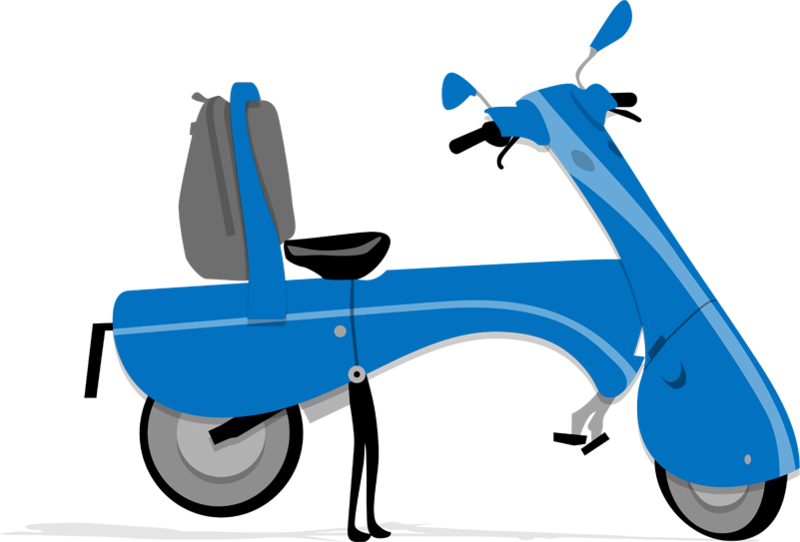 A light-weight electric scooter should become an everyday commodity by its flexibility, its simple storage, security, comfort, aesthetics or its ease of recharging. 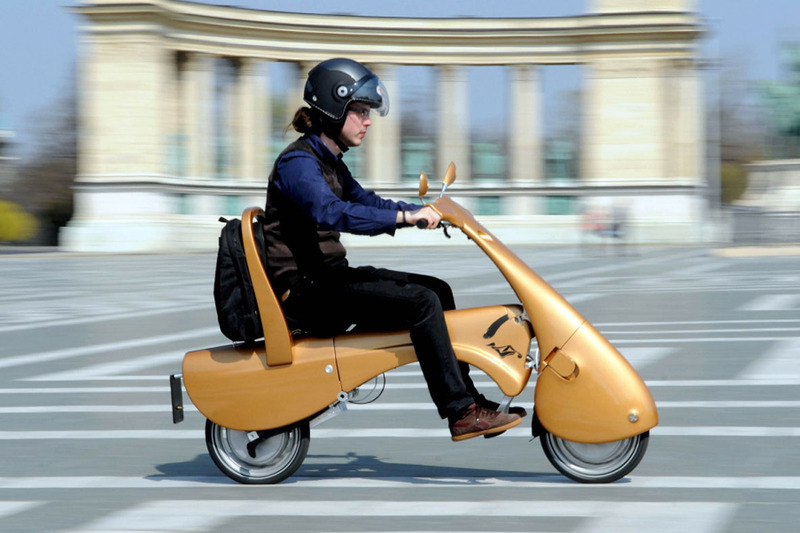 It is easy to use; it is efficient even in crowded urban traffic. It operates silently, with minimum energy consumption and does not pollute the environment directly. 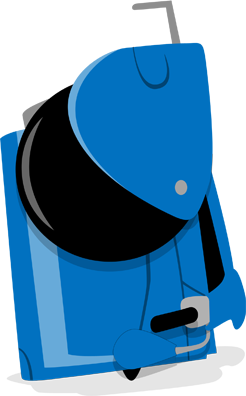 MOVEO was developed to address these problems and provide such a solution. 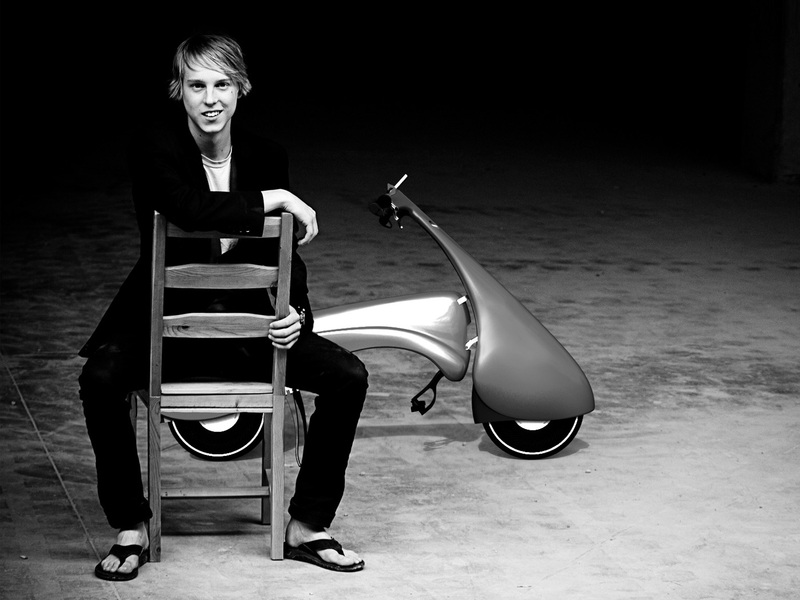 Moveo Co. was established in 2008 by Antro Nonprofit Ltd, whose professional background provided the basis for the development of the Moveo scooter, since the founder had already been working on the development of the Solo multi-hybrid drive concept car. Solo was internationally presented in the Paris Motor Show in 2008, and got place between the 50 Best Innovations by Time Magazine in 2010. MOVEO is the first foldable electric scooter light enough and offering practical solutions to be carried or stored at folded state. Due to its parameters it can be used in bus or cyclist lanes (legislation may be country / region specific) and can go into restricted zones. The maintenance-free electric drive has no drive train losses so guarantees low energy consumption and economic operation. Foldable: you can fold within 2 minutes to a suitcase sized luggage,that you can pull along on its wheels. 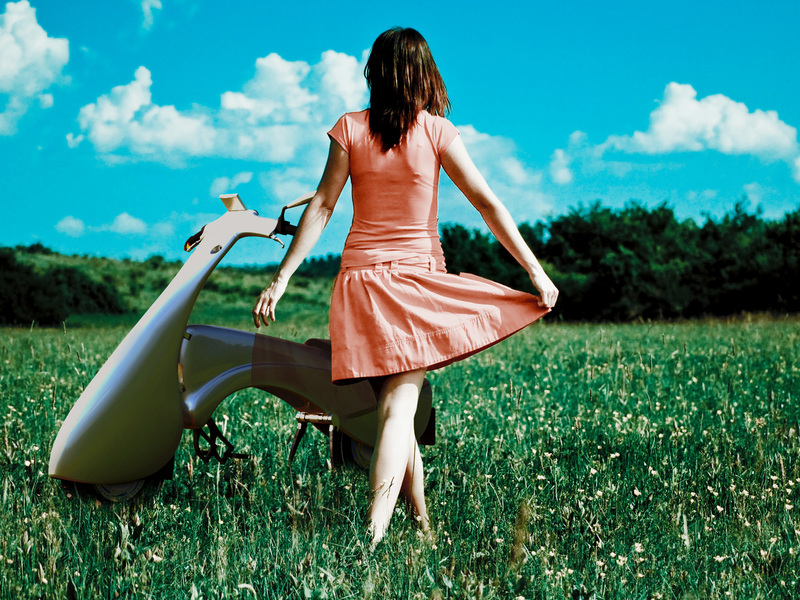 Dirt free: the wheels get completely covered to protect you from dirt. Riding experience: two wheel drive gives you safety, extraordinary driving experience and comfort. It helps to maximise braking energy recuperation. Adjustable seat: the seat with padded backrest can be adjusted horizontally to provide comfortable position for different size drivers. LED lights: low consumption LED lights ensure vision and visibility. Low running cost: due to low consumtion and the maintanance free electric motors, you can drive 100km (62miles) for the cost of € 0.3 ($ 0,4).